Major Baggage: Fashion Challenge... Ankle Boots! 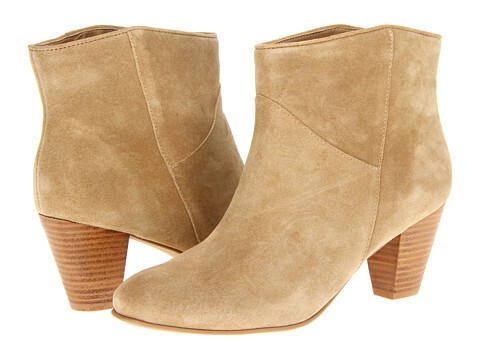 Earlier this week, an adorable friend asked me to nudge her in the right direction with a few ways to wear a pair of lovely, tan suede ankle boots she just bought from Zappos. Of course, we gravitate towards skinny jeans or leggings (which she can totally do), but it's Spring... We are in LA and I think a little more breezy and a little more leg is where this needs to go! Brilliant look... Silky, flowy, feminine dress (navy is a great color) paired with the boots and a edgy leather jacket. PERFECT for a Bon Jovi concert! Another simple look - basic, black cotton dress (easily find at H&M), the boots and your favorite jean jacket... We all have one... The more worn in the better! SURE! Add a cardigan to the basic black dress and a great fedora... This is a super look! Shorts are a must with these boots - Perfect weekend look! Even our friend, Katie Holmes (you know, of Dawson's Creek) is rockin' the look. Love the added bright color - that is soooo Spring! And now I'm going to log onto Zappos and buy these boots. As always, thanks for the inspiration and keep it coming! !